German police have been shaken by an ongoing investigation into more police officers in the western German state of Hesse in relation to far-right wing extremist leanings. The state’s interior ministry stated that criminal and internal proceedings were continuing for 38 police officers. “Extremism cannot be excused in any way. For that reason, we are not playing anything down, but trying to remove these people from the service, as far as this is legally possible,” Interior Minister Peter Beuth said on Thursday, speaking to the interior affairs committee in the state parliament in Wiesbaden. Investigations have uncovered a suspected right-wing chat group used by certain officers in Frankfurt, which lies in the state of Hesse. The German Police Federation (GdP) has acknowledged the presence of right-wing radical elements among its officers following the suspension of five officers in Frankfurt. The move came after an investigation into five officers who formed a far-right cell that shared pictures of Hitler and swastikas, and sent death threats to a Turkish lawyer’s two-year-old daughter. 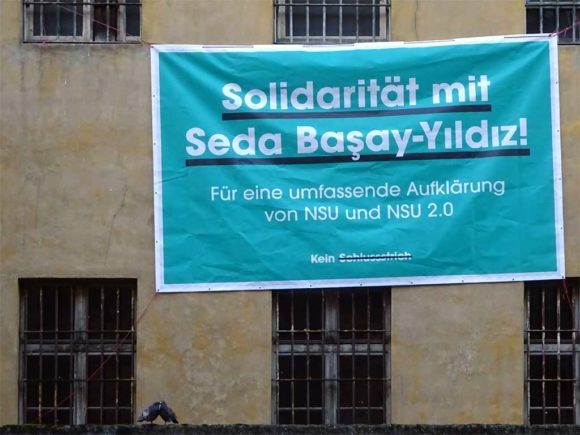 According to German Daily Frankfurter Neue Presse, a group called “NSU 2.0” sent threatening letters containing racist statements to Seda Başay Yıldız, one of the lawyers for the victims of the neo-Nazi terrorist group, the National Socialist Underground (NSU). One of the letters sent in August even targeted the lawyer’s daughter. The NSU killed eight Turkish immigrants, one Greek citizen and a German police officer between 2000 and 2007, but the murders have long remained unresolved. Recent investigations have revealed severe failures of intelligence and the failure of police units in the eastern state of Thuringia to disrupt the group. The NSU is believed to have been founded by three far-right extremists, Uwe Mundlos, Uwe Bohnhardt and Beate Zschaepe, who lived in Thuringia in the early 1990s. The investigation over the far-right network has also widened to other cities, as a police station in the Marburg-Biedenkopf district of the same province was put under investigation. Authorities investigating death threats sent to a prominent German-Turkish lawmaker suspect that they were written by police officers, German media reported on Wednesday. Seda Basay-Yildiz, who represented families of victims killed by a neo-Nazi terror cell, received serious death threats in recent months, after she criticized the constant failure of the intelligence and police to resolve the murders. Investigators who analyzed the fax messages sent to Basay-Yildiz concluded that they were most likely written by personnel working for the Hesse state police, as they included information and special acronyms only known by such personnel, the daily Suddeutsche Zeitung reported. Following two serious death threats late last year, Basay-Yildiz received this month several other fax messages which included racist insults and threats. The death threats included her address and names of her family members, which could be obtained only from official records. In December, five police officers in Frankfurt were suspended on suspicion that they took personal information of Basay-Yildiz from police records and shared them with the far-right extremists. The German-Turkish lawmaker represented the families of victims who were killed by the far-right National Socialist Underground (NSU). The shadowy NSU group killed 10 people, including eight Turkish and one Greek immigrant as well as a police officer between 2000 and 2007, but the murders have remained unresolved. On January 24 Day of the Endangered Lawyers, which has been dedicated to lawyers in Turkey by the European Democratic Lawyers (AED), European Association of Lawyers for Democracy and World Human Rights (ELDH) and European Bar Human Rights Institute (IDHAE), lawyers marched from Galatasaray Square in Beyoğlu to İstanbul Bar Association. The march, which was organized in protest against the attacks directed to lawyers in Turkey, was attended by a large number of people. Lawyers attended the march, wearing their robes. Led by the İstanbul Bar Association, the protest march was supported by İstanbul Bar Association Chair Mehmet Durakoğlu, Adana Bar Association Chair Veli Küçük, Aydın Bar Association Chair Gökhan Bozkurt, Antalya Bar Association Chair Polat Balkan, Bursa Bar Association Chair Gürkan Altun, İzmir Bar Association Chair Özcan Yücel, Tekirdağ Bar Association Chair Sedat Tekneci, Hatay Bar Association Chair Ekrem Dönmez,Gaziantep Bar Association Chair Bektaş Şarklı, Mersin Bar Association Chair Bilgin Yeşilboğaz and Diyarbakır Bar Association Chair Cihan Aydın. Throughout the march, the group attending the protest carried the photographs of journalist Uğur Mumcu, who was murdered on January 24, 1993, former Diyarbakır Bar Association Chair Tahir Elçi, who was murdered on November 28, 2015, and Progressive Lawyers Association (ÇHD) Chair Selçuk Kozağaçlı, who has been behind bars since September 17, 2018. Dans le cadre de ses diverses manifestations 2019 autour de « la journée internationale des avocats en danger », l’IDHAE a présenté, comme il l’avait fait les années précédentes, un ouvrage complet sur la situation du pays concerné. Cette synthèse, établie conjointement avec l’IDHBB -(qui est intervenu constamment depuis 1985 au soutien des avocats turcs)- évoque les cas personnels de 248 avocats en Turquie depuis 2012. (Rappelons que 222 avocats ont été condamnés à de lourdes peines de prison depuis le 15 juillet 2016). Cette présentation officielle s’est déroulée, autour d’un long débat, présenté et animé par le bâtonnier Bertrand FAVREAU, président de l’IDHAE, et Guislaine SEZE, représentant Défenseurs Sans Frontières (DSF) dans la salle du conseil de l’Ordre du barreau de Bordeaux exceptionnellement mise à disposition pour la circonstance. The Bar Human Rights Committee of England and Wales (BHRC) has joined ten other Bar Associations, Law Societies and Legal Organisations in a joint declaration concerning the breakdown of the rule of law and serious threats against the independence of Judges, Lawyers, and Prosecutors in Turkey. The declaration marks the 9th annual Day of the Endangered Lawyer and, along with BHRC, includes Abogacía Española – Consejo General, Geneva Bar Association–Human Rights Commission, German Bar Association–Human Rights Committee, European Bar Human Rights Institute, Paris Bar Human Rights Institute, International Bar Association’s Human Rights Institute, International Observatory for endangered lawyers, Law Society of England and Wales, Lawyers for Lawyers, and Norwegian Bar Association–Human Rights Committee. 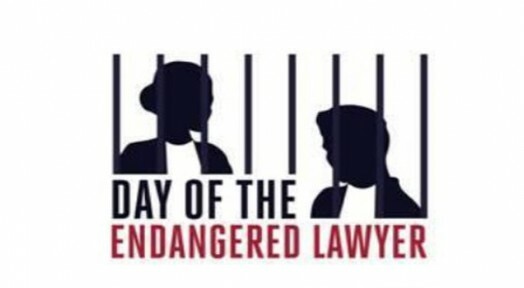 The Day of the Endangered Lawyer was founded and is organised by the Foundation for the Day of the Endangered Lawyer based in Harrlem, the Netherlands. The 24th of January was chosen to be the annual International Day of the Endangered Lawyer because on this day in 1977 four lawyers and a co-worker were murdered at their office in Madrid, Spain. This was also known as the Massacre of Atocha. The Day honours lawyers across the world who put themselves at risk in the fight for human rights and the rule of law. It aims to create awareness that the practice of the legal profession in many countries involves significant risks, but also to denounce the situation in a particular country where lawyers are victims of serious violations of their fundamental rights because of the exercise of their profession. Each year, the persecution of lawyers in a particular country is highlighted, and the Foundation coordinates activities outside of the country’s embassies around the world. Previous Days of the Endangered Lawyer have expressed concern for lawyers in Iran (2010), Turkey (2012), Basque Country/Spain (2013), Colombia (2014), the Philippines (2015), Honduras (2016), China (2017) and Egypt (2018). Her yıl geleneksel olarak 24 Ocak tarihi “Tehlikedeki Avukatlar Günü” olarak düzenleniyor ve avukatların zorda olduğu ülkelere dikkat çekiliyor bu yıl Türkiye’deki avukatlara ithaf ediliyor. 1977’de Madrid’de“Atocha Katliamı” diye anılan 4 işçi avukatının katledilmesi nedeniyle, her yıl 24 Ocak’ta anma etkinliği gerçekleştiriliyor. Türkiye’de ne yazık ki avukatların durumu kolay değil çok sayıda avukat tehdit altındadır. Tehdit altında olan avukatların merkezi Türkiye ilk kez olmuyor. 1990’larda, Fuat Erdoğan, Faik Candan, Şevket Epözdemir gibi avukatlar öldürüldü ve sonraki yıllarda orada insan hakları avukatları çalışmak için güvenli ortamda olmadı. Avukatlara karşı saldırılar büyük ölçüde azalmadan devam etti. 2011 yılında, kitlesel tutuklamalar ve kitle denemeleri sürdü. Tutuklu avukatların bazıları iki buçuk yıldan beri tutuklu ve hala yargılanmayı bekliyor. Cumhuriyetçi Avukatlar Derneği (RAV) başta olmak üzere farklı avukat derneklerinin katkılarıyla, “Tehlikedeki Avukatlar Günü 2019, Türk ve Kürt Kökenli Avukatlarla Dayanışma ve Tahir Elçi Anma” adı altında 24 Ocak 2019 tarihinde, Türkiye Cumhuriyeti Hamburg Başkonsolosluğu önünde miting düzenleniyor. Saat 13.00’da başlayacak miting Tesdorpfstrasse 18, 20148 Hamburg adresinde gerçekleşecek mitinge herkesin davetli olduğu duyuruldu. Mehmet Daimagüler, one of the lawyers for the families of victims in Germany’s notorious National Socialist Underground (NSU) case, says he would take the case to the European Court of Human Rights. 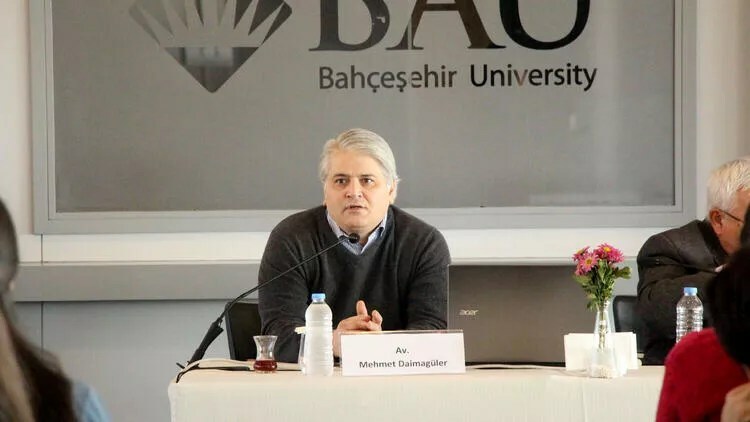 Addressing a conference on the NSU and racism in Germany at Bahçeşehir University in Istanbul yesterday, Daimagüler said he did not trust German courts and did not expect much from the legal process in Germany regarding the neo-Nazi gang. The NSU, composed of three members, were behind the murders of eight Turkish and one Greek immigrant and a German policewoman between 2000 and 2007. Two members killed themselves when the police closed in on them, while the sole surviving member, Beate Zschaepe, was sentenced to life in a trial that concluded last year. “I don’t trust German courts and that’s why we filed a compensation lawsuit [for the victims]. If the German government, state administrations did their jobs properly, if police did not look into the murders through a racist angle, people would not get killed,” the lawyer said. The lawyer said he was certain cases against the NSU would be “lost,” referring to appeals to the sentence for Zschaepe and the gang’s accomplices who got away with lenient sentences. “But we will take these cases to the European Court of Human Rights afterwards,” he said. Daimagüler also spoke about threats the lawyers of victims faced. “I’ve received about 1,600 threats so far but I didn’t take them seriously. Barking dogs seldom bite,” he added. However, he expressed concern about threats to fellow lawyer Seda Başay Yıldız. “It was discovered that threats were linked to a police station and had everything from the address of her residences to the address of her parents. It is also a big scandal that police told Yıldız that they can’t protect her properly and suggested she buy a gun to defend herself,” he said. 590 #Turkish #lawyers have been #arrested. 1546 lawyers have been subjected to #prosecution. Since July of 2016, 182 lawyers have been #sentenced.